Is this the day for the Chesney Hawkes renaissance? Erm, footy, like.... is this a trick question? It's the Spanish equivalent of a Bramley Moore Dock story. Perhaps not the most important news of the day, but... Leicester Under-23s 0 Liverpool Under-23s 6 (Brewster 6, Woodburn 17 (pen. ), Jones 27, Camacho 50, 56, 81). 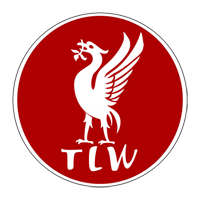 Team reportedly: George; Gomez (Masterson 60), Lewis, Hoever, Johnston, Coyle, Jones, Camacho, Oxlade-Chamberlain (Christie-Davies 46), Woodburn, Brewster (Gallacher 74). More details later. Why can’t Everton get players like that? And they made it three winning teams in less than 24 hours by coming back from 2-0 down after half an hour to win 3-2 with a Woodburn penalty and second-half goals from Sharif and Jones. More details later. Under-23s vs. Chelsea: Kelleher; Whelan, Gallacher, Hoever, Johnston, Coyle, Sharif, Jones, Woodburn, Lewis, McAuley. Subs: George, Masterson, Juanma, Bearne. 2-0 Duncan with a cheeky lob after running on to a long ball from Rhys Williams. Then Wolves get one back. 1-0 Cain thunderbolt from the right side of the box after Wolves can’t clear a set piece. Halftime still 0-0 Wolves have defended well. We’re missing Glatzel. Not to mention paying for his forum subs for next year.